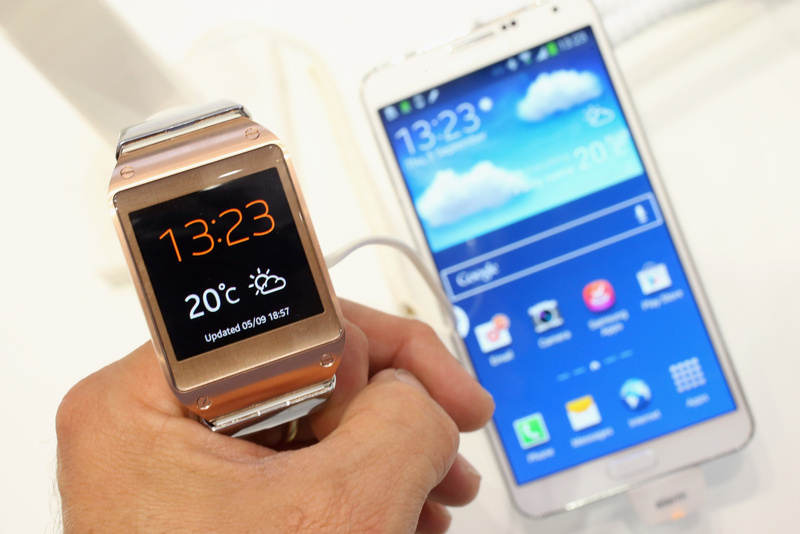 The photographer holds the new Galaxy Gear smartwatch next to the new Galaxy Note 3 smartphone at the Samsung stand at the IFA 2013 consumer electronics trade fair on September 5, 2013 in Berlin, Germany. The 2013 IFA will be open to the public from September 6-11. This year's battle for the smartphone market has begun. On Monday Apple is expected to unveil a new iPhone, but it was Samsung that fired the first shot yesterday. They released a new phone as well as something a bit unexpected, a smart watch. Here to talk about the smartphone wars is Dan Ackerman, editor at CNET. What's behind the latest humid SoCal heatwave?